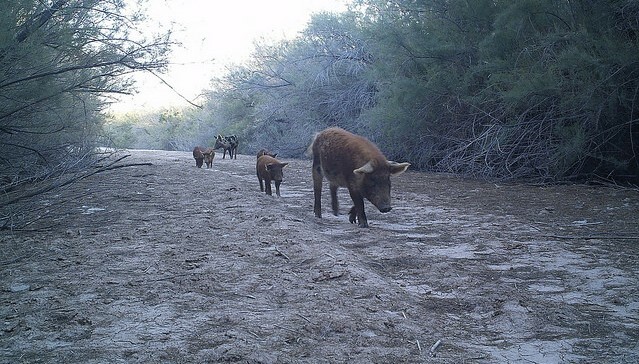 WACO, Texas — Call them wild hogs or feral hogs. The invasive species does great damage in both rural and now urban Texas. Only the Legislature can enact control measures. 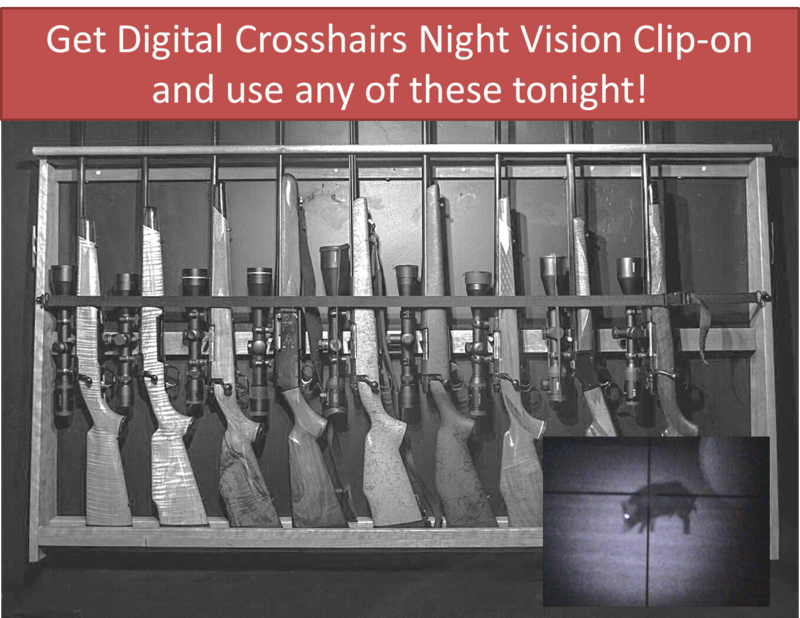 Digital Crosshairs 1000 IR night vision clip-on adds night vision and low light capabilities to any day scope. Mounts in less than one minute, with no re-sighting required. “What a great idea – Thanks Henry. Got my first chance to use this at a hunting preserve for a night hog hunt. Was able to select the biggest hog out of 12 in the corn field as if it were day time. Shot a plus 200 pound sow at over 200 yards and dropped it on the spot. Came home and ordered me a DC1000 system for myself and Henry gave me two extra batteries to boot. I have used it on my Savage 30-06 and my Mission crossbow with about 10 minutes to move it and have it working. Awesome customer service Henry.” Rufus M.
You can’t control the weather on your hunt, but you can plan around it for success. Kestrel Weather Meters can give you a heads up on ground conditions to help you decide if you should head out with your calls or stay home. TUNKHANNOCK — Courtdale resident Jack Roberts knows the excitement that comes with harvesting a deer or bear, but it doesn’t compare with what he achieved on Sunday morning. Roberts, who was hunting in Hanover Township, shot a 34-pound coyote after attracting it with an electronic call. 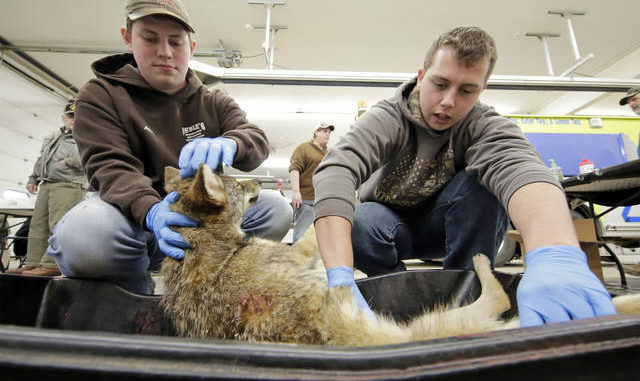 He was was one of 665 hunters participating in the three-day Northeast Regional Coyote Hunt, which concluded on Sunday. 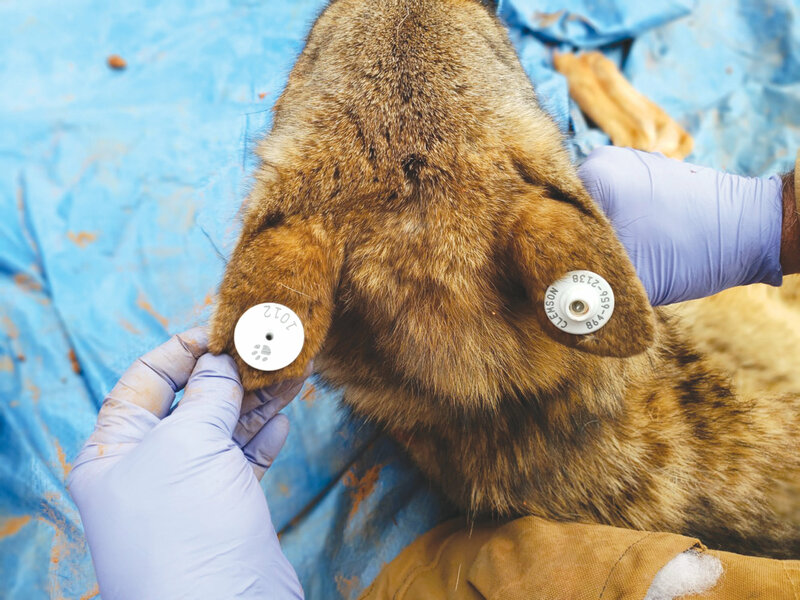 Clemson University researchers began trapping and fitting coyotes with GPS collars in December. 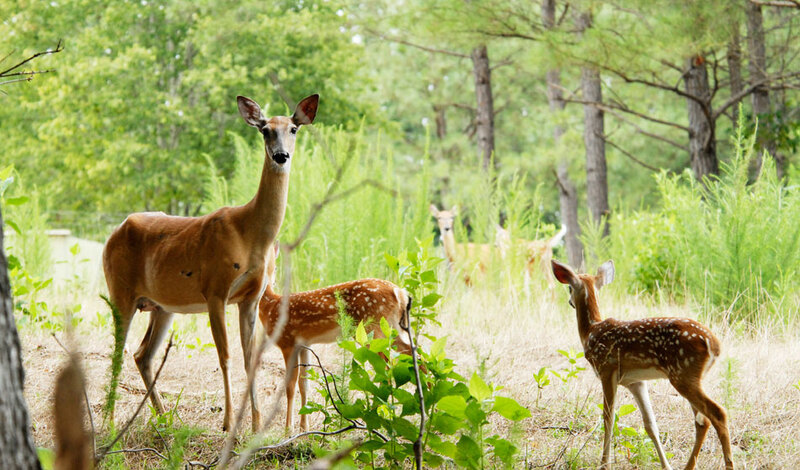 CLEMSON – Coyotes have a nasty reputation among deer hunters in South Carolina, and Clemson University researchers are working to determine just how much of that notoriety they deserve. Digital Crosshairs 1000 IR night vision clip-on adds night vision and low light capabilities to any day scope. Mounts in less than one minute, with no re-sighting required. Ideal for hog and coyote night vision hunters. 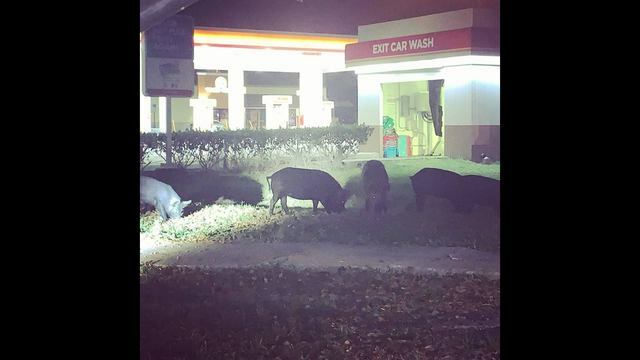 TAMPA, Fla. (FOX 13) – A pun-filled pig post is making the rounds on Facebook after Tampa police took a photo of wild hogs out for a stroll near a New Tampa gas station early Friday morning. Police said a coyote has been spotted in the Wayne area and are urging the public to use caution when letting pets outside. The expansion or recovery of predators can affect local prey populations. Since the 1940s, coyotes (Canis latrans) have expanded into eastern North America where they are now the largest predator and prey on white‐tailed deer (Odocoileus virginianus). However, their effect on deer populations remains controversial. We tested the …..
Coyote breeding season is nearly in the rearview mirror, save for a few coyotes who haven’t mastered the art of the hookup. 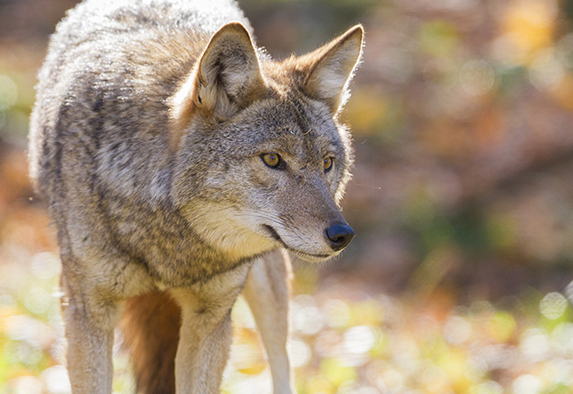 If you own, lease or simply manage a wildlife property, now is the time to take out a handful of coyotes. Mating is almost complete, territories are set and dens being prepared. 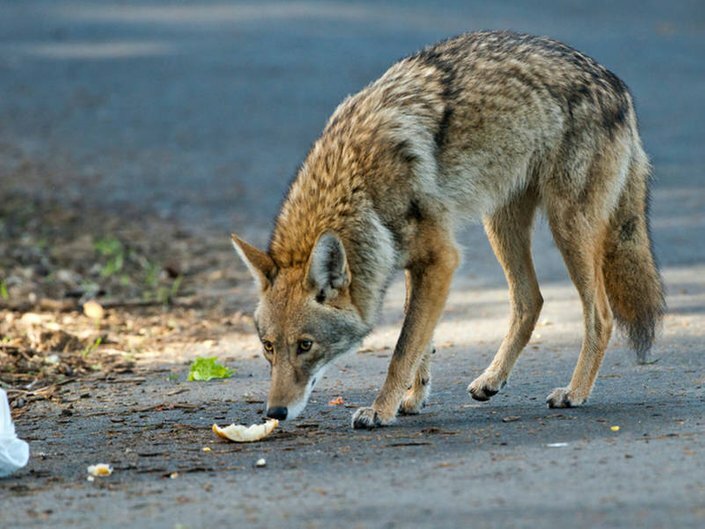 Remove a coyote now and it becomes logistically harder for more to move around due to their instinctive nature of becoming homebodies in preparation for raising pups….